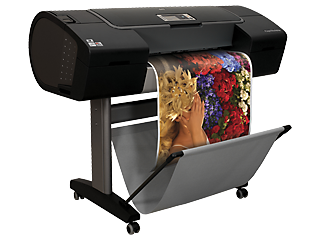 Easily, consistently, and cost-effectively produce gallery-quality black & white and color prints. 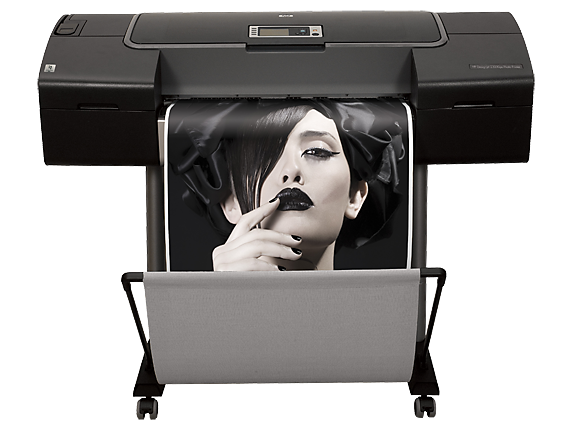 This 12-ink HP Designjet, with new HP 73 Chromatic Red ink, delivers long-lasting gallery-quality prints in black and white and color. It enables easy calibration and profiling with its embedded spectrophotometer and also delivers great ink efficiency. 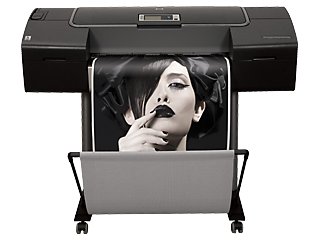 1 The 12-ink HP DesignJet Z3200 Photo Printer is the most advanced printer compared with other HP Z-series printers. 2 Display permanence rating for interior displays/away from direct sunlight, under glass by HP Image Permanence Lab and/or by Wilhelm Imaging Research, Inc. on a range of HP media. For more information, see http://www.hplfmedia.com/hp/printpermanence. 3 Bronzing is minimized as an image-quality issue when HP Gloss Enhancer is used. HP Gloss Enhancer can be used on photo paper, with the exception of matte-finish papers. 4 96% coverage of PANTONE MATCHING SYSTEM® and PANTONE® GOE systems, based on HP internal testing (PANTONE® approval pending). 5 Embedded in this HP DesignJet Printer is an i1 spectrophotometer from X-Rite. Close collaboration between HP and X-Rite ensures a reliable solution that’s been thoroughly tested to meet customer demands for ease, quality, and dependability. 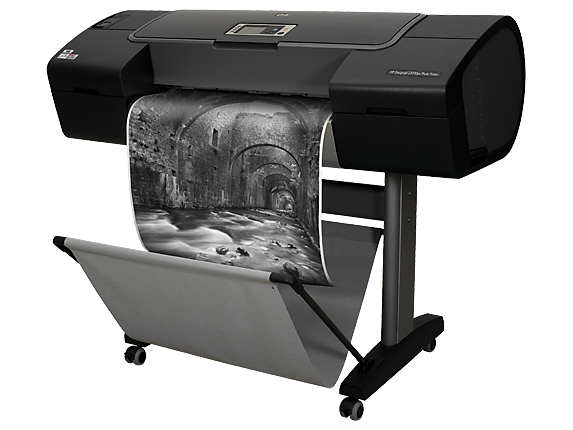 6 Based on internal HP testing, the HP DesignJet Z3200 Photo Printer series utilizes at least 30% less ink during routine maintenance operations versus select printers from other vendors. 7 Based on internal HP testing, the HP DesignJet Z3200 Photo Printer series utilizes at least 30% less ink during routine maintenance operations versus select printers from other vendors. 895% coverage of PANTONE® MATCHING SYSTEM and PANTONE® Goe System, based on HP internal testing (PANTONE® approval pending). Please visit hp.com/go/Z3200/PANTONE for final results. 9 An FCC Class A emissions compliant device meets the less stringent (higher) levels of emissions allowed by the FCC for a product operation in a commercial environment. An FCC class A device cannot be marketed for use in a residential environment and an FCC class A device should not be purchased for use in a residential environment due to the increased risk of interference to radio communications. This product can only be shipped via FedEx Freight Economy. Please expect a 3-6 day delivery schedule (could be longer for AK/HI). Due to the size of the product, it cannot be returned.